• Four (4) matching handleback chairs featuring a 2″ Waterfall seat pad for added comfort. 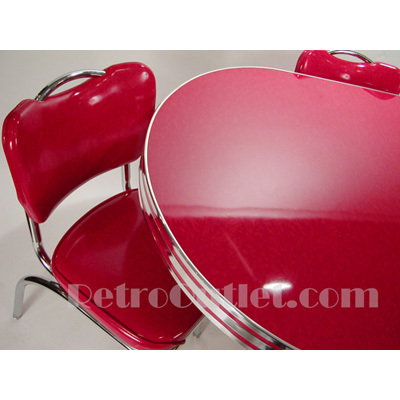 This dinette set is available in three Cracked Ice colors. Chairs and Table ship separately. 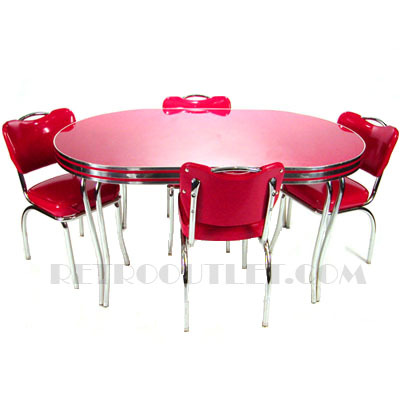 Please allow 4-5 weeks for production of all retro furniture manufactured per your specifications.